Anger undermines a very important message about enlightenment I can really recommend this book, The Moral Landscape – How Science can Determine Human Values by Sam Harris, but you might want to skip the first three chapter or so (I was close to stop reading). These first chapters are not well written as they both misunderstand a lot of philosophy (even basic concepts like “Humes law”) and have a tone that is mainly oscillating between bitterness and anger. It is really sad that Sam have not spent more time reading philosophy, not the postmodern, but the classics. I’m not sure why he ignores a field where thinkers have reflected over the challenges he’s done for thousands of years. Staring from zero is fine, but it gives the book a bit of a teenage character. The fact that the book has a teenage character is also something positive. It is an energy and frustration in the book that is refreshing in a time when most people don’t seem to think about how thin the culture of enlightenment and science is. Still it is about science so some more reflection would not hurt. Maybe he thinks that the tone is what is needed in the US/global media climate? Still, it would have been nice if he did not simplify things quite as much, e.g. he compares “water is two parts hydrogen and one part oxygen” with “cruelty is wrong” and say “To really believe either proposition is also to believe that you have accepted it for legitimate reasons”. It is easy to understand his frustration, but this kind of oversimplification does not help. To compare a chemical formula, based in science with well defined concepts (although even these could be challenged is we go down a level and make the definition of hydrogen and oxygen more complicated, and also when it is actually water and when it is something else), with concepts like "well-being" and "cruelty" is not very helpful. As a student these are the kind of things you play around with, but Sam is not a student, but perhaps he want a niche in mass media. Further he writes that “concern for well-being is the only intelligible basis for morality and values”. This is another example of the kind of statement that does not mean anything. I think it partly based on a belief that things can be simplified and isolated. Further down on the same page (if pages make sense in the age of e-readers when you can chose the size of the text) he writes “would it be better to spend our next billion dollars eradicating racism or malaria?... Such questions may seem impossible to get answer to get a hold of this moment, but they may not stay this way forever”. That you can’t isolate one from the other, and that the way to calculate things in this way will also influence “well-being” is nothing Sam seems to think about. If he did, he might have a slightly different approach. These weak points are frustrating as I think it will result in people ignoring his important message about people trying to bridge things that can not be bridged. I think his discussion about Francis Collins, the former head of the human genome project, was refreshing to read. I need to read Collins book as I can’t believe that he is as irrational as Sam portrays him. 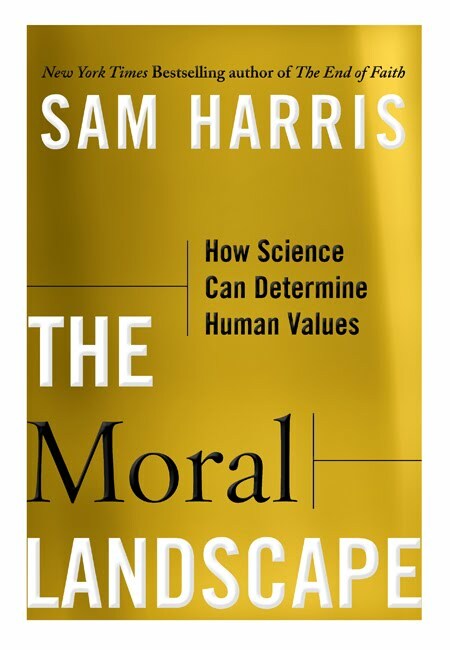 Maybe most interesting part of the book is when he discusses how his friends, that agree that science should guide society not religion, are afraid that criticism of religion will make people chose religion and not science. So it is better to tell lies to the public in order to ensure a future for science. The fact that people call him a fundamentalist and that he is dangerous is scary to me. I don’t think Sam is a very pleasant person and there are positions in society where I think he would do a bad job, but from what I have read I can trust him to listen to an argument and not dismiss anything I say without having using facts that are true to the best of his knowledge. Spending much of my time in international processes, where religion doesn’t play a very important role, I see an even more disturbing feature that I hope he can discuss in his next book. The fact that there is a growing lack of respect for science among many professionals. Right now for example, I’m involved in a process with a group of consultants that are as bad as the religious fundamentalists when it comes to respect for science. They seem to do that because they have adopted a short-term and narrow time perspective where things are very simplified and intellectual honesty is not important. In this case they have a client, they think they know what the client wants and they present a result based on these assumptions. The scary thing is that these people don’t care about the consequences of their action, nor have any respect/knowledge about science. It is a weird economic approach without knowledge about economics, let alone social science. These people show a few slides with some will known theories/approaches on a PPT and then jump to value based and sloppy conclusions. These conclusions are then meant to guide actions among multibillion companies that affect what products and services that are available as well as the values in society as they sit on very large PR budgets. The book had two other areas that I think are worth mentioning, one because I think it is fundamentally wrong, the other because I think it is one of the most important questions. 1. No one has "simplistic feelings". When I'm in Rome I might have an aching back home that make me suffer, at the same time as I enjoy a very interesting conversation with a friend, while I realize that I'm in a restaurant that serve meat that make animals suffer, and by paying the bill I will help them continue to promote this business, but at the same time I got a great idea for a future project, then I also realize that the conversation I have at the restaurant is part of a pattern where I look for distraction rather than deeper understanding, etc, etc... Layer upon layers that makes us humans, but frustrate neoclassical economists and apparently people like Sam. 2. We constantly change, the transcendence of the ego, as Sartre called it, is what defines us as humans. We might not agree with everything Sartre wrote about the ego, but the fact that we constantly can change is something that anyone who say they believe in enlightenment should consider (and if not explain how they approach humans). So when we look back we might see things different compared with how I experienced them at the time. Much of what people do when they try to improve things include things that might not be pleasant when it is done, but reflecting on it brings pleasant memories. Education and physical training are probably the two most obvious examples.